Who would you invite over if Amazon accidentally sent a shipping container of weed to your house? For most cannabis enthusiasts, this might sound like a dream come true. Recently, a couple in Orlando, Florida went shopping on Amazon and ordered a pair of 27-gallon storage containers. A few days later, the package showed up on their doorstep, but it felt suspiciously heavy for two empty containers. “They were extremely heavy, heavier than you would think from ordering four empty bins,” Said one of the Orlando residents, who asked not to be named for safety purposes, to WFTV9. They soon found out why. When the couple cut opened the package, the storage containers were full. With 65 pounds of marijuana. This is where the story would end for many marijuana enthusiasts. Instead, the couple did something that would probably be the last thing any cannabis fan would do if 65 pounds of marijuana showed up at their doorstep: they called the cops. The police, who were reportedly in disbelief when they arrived, launched an investigation. The package was later tracked to a warehouse in Massachusetts. Although the temptation to keep the weed would be strong for many, this couple undoubtedly made the right choice. Legal marijuana recently dropped from $2,500 to $1,000 per pound. The street value of cannabis is even higher and sold gram for gram; a pound could theoretically earn over $4,500. The couple that received the package was sitting on a quantity of cannabis that was worth anywhere from $65,000 to $294,775. 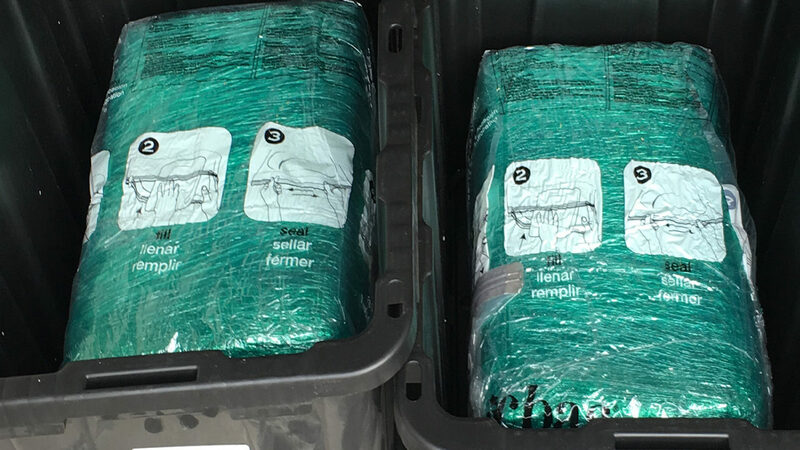 As one would imagine for this quantity of marijuana, the intended recipient would soon realize that there was a mix-up, and start trying to track down the package. “We were still pretty fearful our home would be broken into, and we didn’t sleep there for a few days,” the couple said to WFTV9 after the police had taken the marijuana away. The couple then reached out to Amazon themselves, looking for some closure, an apology, or some sort of compensation for the terrifying situation they were unfairly put into. But after a month, they still weren’t able to get any answers, let alone speak to a supervisor. Which is pretty shocking. Customer service lines are notoriously frustrating to deal with, but one wonders if having 65 pounds of marijuana accidentally shipped to your doorstep is not a good enough reason to get a supervisor on the phone than what is? In the end, Amazon never apologized, but merely sent the couple a $150 gift card. “There was no concern for a customer’s safety. I mean, this could have turned into a worst-case scenario,” said the couple. The police have not yet tracked down the people who sent the package or found out who the package was actually intended for. But hopefully, this is where the story ends for the couple. Although having 65 pounds of marijuana show up at your doorstep sounds like a dream, dealing with the people who eventually track it down would be much more like a nightmare.